Fitting exercise into your daily routine can be difficult, especially if you don’t have a partner to keep you motivated during your workouts. Luckily, you don’t need to look too far to find a great partner, (even if they happen to have four legs and shed a lot). The American Heart Association recommends at least 150 minutes of exercise each week, and a study by Michigan State University found that individuals who own a dog are 34 percent more likely to reach that goal. However, when it comes to working out with your dog, your options are not just limited to trips to the park or walks around the neighborhood. 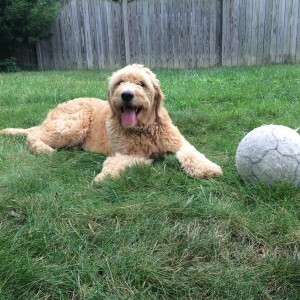 Several recent articles from CNN and Outside Magazine highlighted some of the best ways to get active and get some exercise with your dog, and with that in mind, let’s take a look at a few of the most popular options that can also easily be done around RVA. If your dog is a fan of the water, kayaking can be a great activity to do with your pet. Let your pooch ride with you in the kayak, or bring along a ball or stick to let your dog play fetch while you torch calories paddling. Kayaking for one hour can burn between 340 to 450 calories. If you don’t own a kayak, you can always rent one from places around town, such as Riverside Outfitters on Brown’s Island. Not a fan of water sports? Try hiking one of the many trails throughout the area, including North Bank and Buttermilk Trails. The two trails connect to each other, have a total elevation gain of 369 feet, and create a loop from Belle Isle to Boulevard Bridge, making the trail 6.34 miles in total. On average, hiking can burn between 350 to 500 calories an hour, and your dog will have a great time exploring the trails with you. Your dog can be the perfect addition to your morning run and they can make a huge impact on making running a part of your daily routine. In the city, popular running routes include the North Bank Trail, Byrd Park, the Canal Walk, Brown’s Island, and Belle Isle, as well as Monument Avenue. If you’re nervous about your dog running, try doing a quick jog with them before taking them out for a longer run. Just be sure to slowly build up your dog’s stamina. They’ll be keeping pace with you in no time. 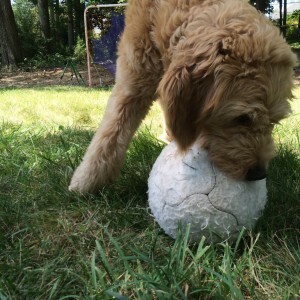 Want to play soccer with your dog without having the ball pop within minutes? 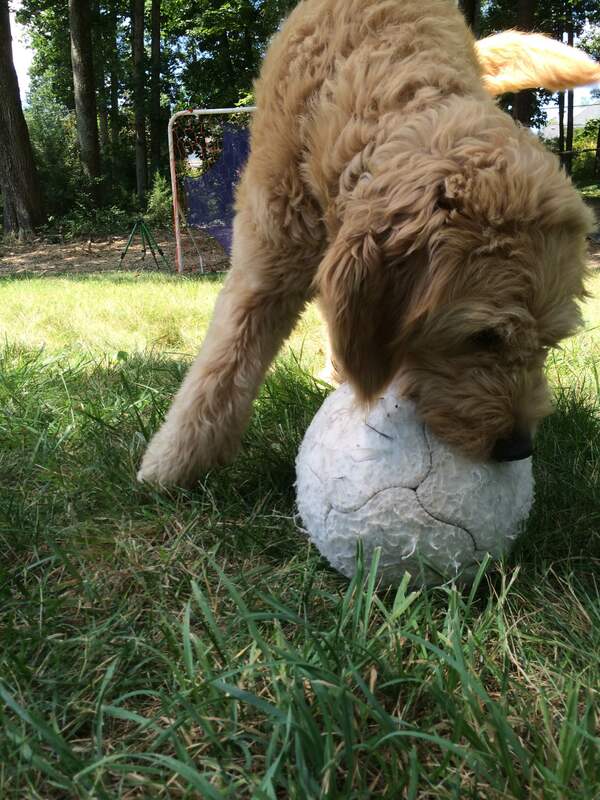 Planet Dog Orbee has created a soccer ball that lets you play soccer with your pup without having the game cut short from punctures. The company also creates footballs and tennis balls, so, if your dog is not a fan of soccer, you can try out a game of fetch! 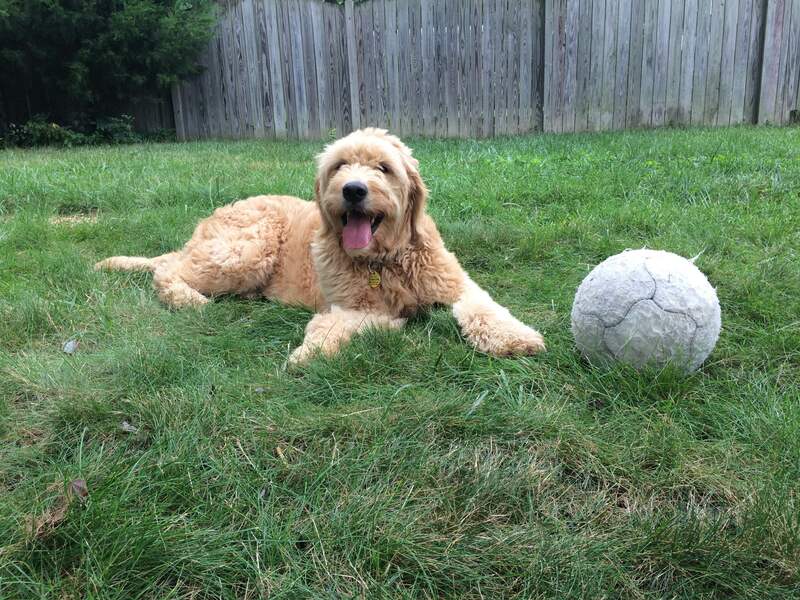 To add to the workout, just include some exercise like crunches or lunges while your dog is chasing down the ball. If you have a high energy dog that needs a little bit more of an intense workout, try letting your dog run with you while you’re biking. The quicker pace will allow your dog to work out some of its excess energy while also letting you fit in a great exercise. Depending on the intensity of your ride, you can burn between 400 to 600 calories in an hour. There are also devices available that allow you to attach your dog’s leash to the frame or seat post of the bike that lessens the impact of sudden tugs – in case your dog has a short attention span and is easily distracted by squirrels, leaves, the wind, etc. etc. The Virginia Capital Trail is a great place for biking, running, and walking. Of course before starting any new exercise routine with your pet, make sure to ease into it and to pay close attention to your dog throughout the workout. With a little training and patience, they can make a great addition to your workout routine, and they will be thankful for the extra exercise! Sorry, we couldn't find any posts that relate to the one you are viewing.